Wow! A Home Remedy for Pink Eye That Works Every Time! Here's the all-time best home remedy for conjunctivitis, along with other potent natural remedies for pink eye that are a sure-fire way to treat and heal this awful problem fast and for good! Pink eye or conjunctivitis is a nasty eye disorder that can affect people of all age groups, though it's most prevalent in young children and infants. It results when the conjunctiva (the outer layer of the eye that covers the white area) becomes acutely inflamed. This causes the eye(s) to become swollen, red and extremely itchy. Conjunctivitis can also cause mucus production that’s so bad it actually cements the eyelids together while you’re sleeping. For kids especially, this is not nice and can be quite upsetting for a young infant. Many people choose not to treat pink eye at all as it usually goes away within a week to ten days. This is not recommended, however, as conjunctivitis is highly contagious and if you or your child does have this, it means your immune system has also been compromised and severely weakened. Both of these problems are a definite recipe for disaster! So you not only need to treat your pink eye externally to stop the spread, you must also treat it internally (boost your immune system) or else you'll simply find yourself or your little ones suffering from this condition over and over again. Fortunately, boosting the immune system and treating and curing conjunctivitis externally (topically) is very easy to do when using a few of the "tried and tested" home remedies listed below. There are basically 3 types of pink eye you need to be concerned with - bacterial, viral and allergic. Bacterial and viral conjunctivitis are the highly contagious ones and often start in one eye first before moving to the other. Viral pink eye is usually marked by clear, watery drainage while bacterial pink eye produces the greenish yellow muck that clogs up the eyes and makes them sticky and horrible. Bacterial and viral pink eye can spread to other household members very quickly so action is needed straight away to contain the infection. 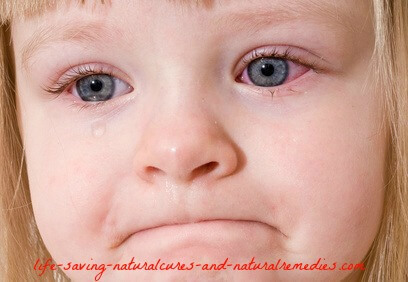 Natural Treatments for Conjunctivitis or Antibiotics… Which is Better? Pharmaceutical treatments for conjunctivitis usually include eye drops, ointments and antihistamines. 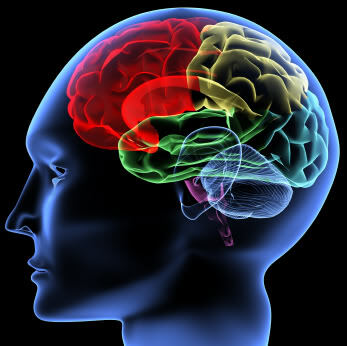 Even though these treatments do work, they aren’t recommended for two reasons. Firstly, they contain unnatural and toxic chemicals (many of the names you can’t even pronounce). Secondly, they only treat the symptom and not the underlying cause. If you want to successfully treat and cure your pink eye for good then you must treat the symptom and the underlying cause - without the use of harmful chemicals. And of course, you must also treat conjunctivitis quickly so you keep other family members and other children safe from the outbreak. Probiotics should be your first course of action for treating and curing pink eye. A good quality probiotic supplement helps to replenish the supply of beneficial bacteria in the body and kill off the bad bacteria, which are actually the main cause of conjunctivitis. This remedy definitely works best when used both as an internal and external treatment. As an internal treatment, find yourself or your child a good quality probiotic supplement (such as these) and take every day as directed. And not just until your pink eye has gone either, but for the rest of your life! If you don’t do this then the bad bacteria will slowly gain control again and your conjunctivitis will return. In addition to this, make sure you consume lots of probiotic rich foods such as home-made yogurt, pickles, kefir, sauerkraut and kombucha as these fermented foods are extremely high in essential bacteria. Have a look at this terrific website on how to easily make your own fermented foods… Cultures for Health. And if you struggle to get your little ones to eat cultured foods, here's some simple "probiotic rich" recipes they won't be able to resist... 10 Fermented Foods That Kids Love. To use probiotics as a topical remedy for conjunctivitis, there are a few options. The first is human breast milk. This folk home remedy has been used for centuries to successfully treat and cure conjunctivitis in babies and we're surprized there’s still even a debate as to whether it works or not. Mother’s milk is loaded with crucial probiotics and contains potent antimicrobial properties. A couple of squirts of breast milk into your child’s/baby's eyes three times a day will see their pink eye disappear like magic! It really does work that well. Obviously, this can only be done if you're breastfeeding. If you don’t have access to human breast milk then you can use raw cow’s milk or goat’s milk (they must be raw and not pasteurized), or you can use the liquid part of your natural homemade yogurt or kefir (that you're now going to make) instead. Simply use an eye dropper and apply a couple of drops in each eye three times a day. Raw or Manuka honey contain powerful antimicrobial and antibacterial properties and are particularly effective for treating viral pink eye (even the ancient Egyptians were reported to have used honey to treat various eye disorders, including conjunctivitis). 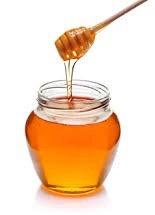 Honey is another internal and external remedy that’s cheap and highly beneficial, and you shouldn’t have any trouble getting the kids to eat it either. Remember this, you and your little ones can never have too much honey so be sure to have as much as you can! For internal use and benefit, you can use honey as a spread, or mix a few teaspoons in a glass of warm filtered water with a tablespoon of organic apple cider vinegar (our next remedy), or even just eat it straight off the spoon! There’s no right or wrong way to have your honey as long as you get it into you. To use as a topical remedy, first dissolve ¼ of a teaspoon of raw or Manuka honey (the best) and a pinch of sea salt in a glass of warm filtered water or warm boiled water (do not use chemically laced tap water for this). Then using a clean eye dropper, apply 1-2 drops in each eye three times daily. Apple cider vinegar (ACV) is one extremely potent bacterial, viral and fungal killer. As far as conjunctivitis remedies go, this is right up there with the best of them. Taking ACV internally will quickly kill any bacteria, viruses or protozoa’s that may be lurking in your insides. It will also help to replenish the supply of good bacteria in the stomach and colon so annoying problems such as pink eye, don’t ever return. Mix up 1 tablespoon of apple cider vinegar with 2 teaspoons of Manuka honey in a glass of warm filtered water and drink three times a day. In addition to this, you can also use apple cider vinegar to wash and cleanse your eyes, but it can sting a bit (about the same as pharmaceutical eye drops). However, if you can put up with the slight sting for the first few minutes you’ll get to enjoy some long lasting and welcome relief from your pink eye symptoms. Simply add 1 tablespoon of ACV to 1 cup of clean, warm water and mix. Dip a cotton ball in the solution and wipe around the eyes and in the corners. If you can, even squeeze a small amount of solution directly into your eyes. It works a treat! Now, when you go to purchase your apple cider vinegar, make sure you ONLY buy the raw organic ACV with the “mother” (very important). Never buy processed or filtered vinegar's of any kind. Bragg's Apple Cider Vinegar or Viva Naturals are the best brands on the market and the ones we recommend. The acidity is quite low as well with both of these so they don’t burn or sting as much. Silver eye drop solutions were used to successfully treat eye infections long before pharmaceutical ointments became available. Colloidal silver is the best type to use and doesn’t irritate the eyes at all. And it works extremely well for curing pink eye in a hurry! Colloidal silver is similar to ACV in that it’s also antiviral and antibacterial in nature, so it kills the infection fast. 1-2 drops with an eye dropper in each eye every three hours (especially before bed) will see your pink eye gone within 24 hours. 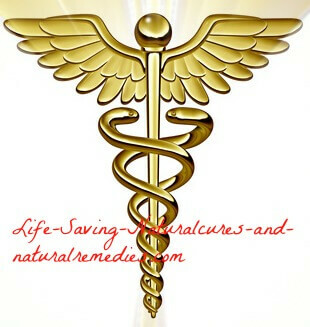 You can easily purchase colloidal silver from most health food stores or online from places such as Amazon.com. Fast-Acting Home Remedy for Pink Eye #5 – Your Own Urine! So be sure to give this "out there" remedy a go. You’ll be pleasantly surprized by the results! 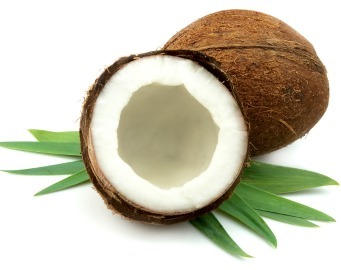 Coconut oil is another terrific remedy for pink eye. It’s also a very strong bacterial, viral and pathogen killer that works extremely well on all 3 forms of conjunctivitis. The biggest problem with coconut oil, however, is most people just don’t use it properly! They'll use the oil as an external remedy, not realizing or understanding that its real power comes from taking it internally. By consuming raw coconut oil every day you'll not only help to treat and cure your current outbreak of conjunctivitis, you'll also stop it from returning again… guaranteed! Even world renowned coconut oil expert Dr Bruce Fife says you should use virgin coconut oil to treat and cure eye problems including pink eye, cataracts and glaucoma. So be sure to have a tablespoon of organic virgin coconut oil (mixed in foods, a smoothie, or eaten straight off the spoon) two to three times a day, every day. To use as an external remedy for conjunctivitis, either rub a little on the upper eye lid and tear duct of both eyes, or apply two drops into each eye with an eye dropper (you will need to warm the oil slightly first so it turns to liquid). Also keep in mind that coconut oil is best applied to the eyes at bedtime and then left in to do its work while you’re sleeping. You can use either one of these remedies, but the lemon juice seems to work slightly better. Both are antiviral and antibacterial (hence why they’re good for treating the common cold) and they work very quickly. In fact, your pink eye should be pretty much gone in just a few short hours. However, there is a down side… they sting like mad at first! This usually only lasts for a few minutes though so you’ll need to weigh up the long term benefit of this remedy compared to the short term pain you’re going to encounter. If you’re desperate though then we highly recommend this one. Simply cut a lemon or lime in half and squeeze a good amount of juice directly into each eye. Good luck, and be strong! This is one of the most popular topical remedies for viral pink eye. If your little one has conjunctivitis, the chances of you being able to squeeze some lemon or lime juice into their eyes are virtually zero (the screaming would probably wake the dead anyway) so a salt water eye wash is the next best thing. For best results, make sure you use either natural sea salt or Himalayan pink rock salt, rather than commercially produced table salt. If you don’t have either of these in your cupboard then use baking soda instead (it works just as well). Boil a cup of water and then add a teaspoon of salt or baking soda. Allow to cool then take a cotton ball and dip into the solution and use to wipe and clean the affected area. As a variation, you can also use an eye cup or an eye dropper to rinse the eye with salt water. Be sure to repeat this process several times throughout the day. 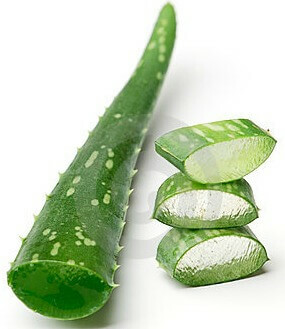 Aloe vera is definitely one of nature’s best “cure all” medicines. It contains some powerful antiviral, antibacterial and antifungal properties and works exceptionally well for conjunctivitis. If you have an aloe vera plant in your backyard simply slice off a small piece and apply a couple of drops of the juice or gel into each eye. Repeat this several times throughout the day. If however, you don’t have your own plant then you can purchase pure aloe vera gel or juice from most health food stores or online. Just make sure the product you buy contains no additives as these can actually irritate the eyes and make them worse, not better. Green tea and black tea contain bioflavonoids and potent antioxidants known as catechins. These substances are brilliant at fighting off bacterial and viral infections, along with reducing inflammation. Steep a couple of tea bags in a cup of hot water until it cools to room temperature. Remove the tea bags and use the tea solution to rinse both eyes, then take the moist tea bags and place one over each eye and lie down for 20 minutes. This remedy is especially good for reducing the swelling and puffiness of the eyes as well as helping to clear the infection. Borax and boric acid both work a treat for conjunctivitis due to their strong anti-microbial, anti-viral and anti-inflammatory qualities. And they're also dirt cheap to buy! Either mix ½ teaspoon of boric acid or ¼ teaspoon of borax in a cup of warm filtered water. Use a cotton ball to wash and clean the affected area, allowing the solution to seep into the eyes. For more information on the incredible healing power of borax and boric acid, we recommend you take the time to have a read of this superb article… Grow Youthful With Borax. If you or a family member regularly suffer from pink eye then it’s very likely you’re deficient in vitamin A, along with B2 and vitamin D. These vitamins are absolutely crucial for the health of the eyes. To make sure you’re getting enough of these key nutrients, it’s a good idea to supplement with fermented cod liver oil. This remarkable oil is rich in natural vitamin A, vitamin D and B2, as well as important essential fatty acids (EFA’s). Just make sure you buy fermented cod liver oil and not the standard cod liver oil (there is a difference) as fermented cod liver oil has a much higher nutritional value. Also be aware that there are some bogus supplement companies out there selling suspect fermented cod liver oil so be sure to check your suppliers authenticity first. Amazon seems to have the biggest range of fermented cod liver oil and is probably the most trusted source. 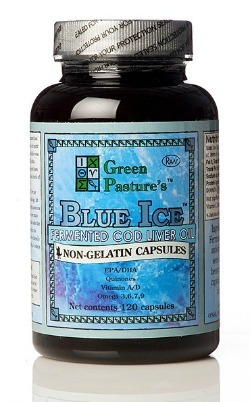 You can find them here if you're interested… Best Fermented Cod Liver Oils. Good old fashioned spuds are another worthwhile remedy for conjunctivitis and work particularly well for reducing the swelling and puffiness of the eyes. Simply chop a couple of slices and place them over the eyes while lying down for some soothing relief. If you suffer from allergic pink eye, there are some excellent antihistamine herbs you might like to consider. Stinging nettle is definitely at the top of the list. This herb is outstanding for reducing the symptoms associated with seasonal hay fever and allergic pink eye (red eyes, runny eyes, runny nose, etc). Other herbs that are potent antihistamines include; Echinacea, ginger, chamomile, wild oregano, and Reishi mushrooms. You can purchase these in either supplement form, as herbal teas, or get them fresh from your local greengrocer. Try all of them if you possibly can so you can find the most effective one(s) for yourself. And keep in mind that with any herb you take, it usually takes around 4-6 weeks for the full benefits to kick in, so you must be patient. 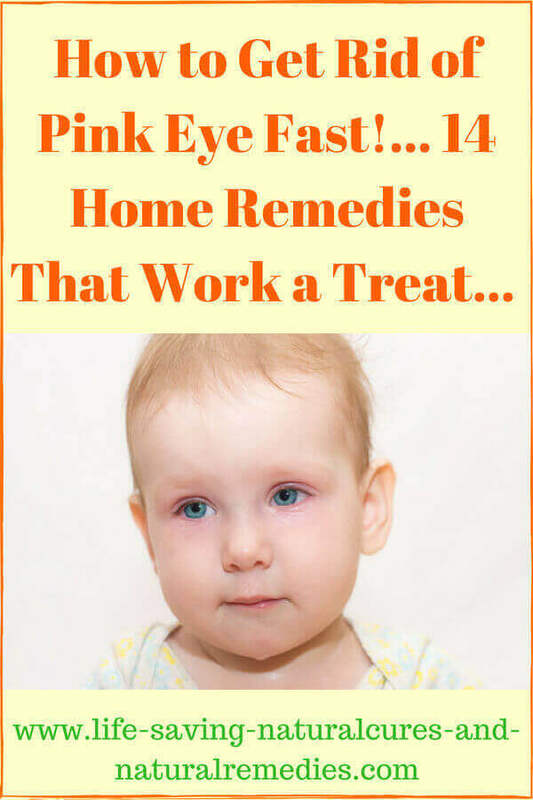 So there you have our top 14 home remedies for pink eye. We believe that if you can’t find a remedy here to get rid of your conjunctivitis then you probably never will! It’s also important to note that the internal remedies we’ve listed really are a must if you want to cure your pink eye for good. When it comes to the external treatments though, you will need to experiment to find what works best for you or your child. What works for one person doesn’t always necessarily work the same for another. But you have plenty of options to choose from so this shouldn’t be a problem.